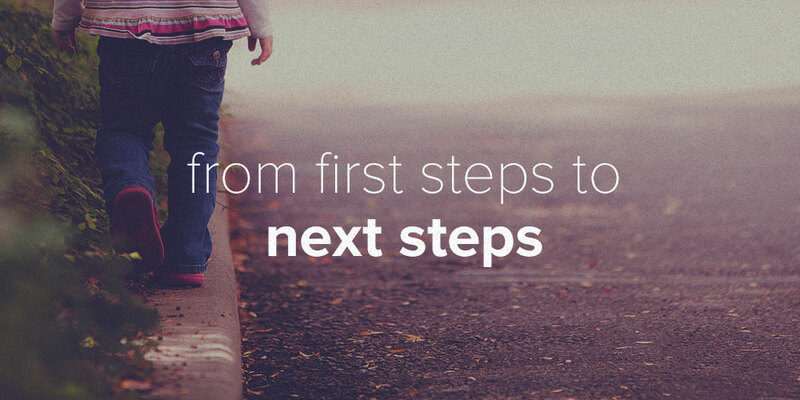 Ever experienced a child’s first steps? The uncertainty and excitement as he or she steps forward— a wobbly motion—and then, with realization, a determination to seize every opportunity and any terrain! The possibilities become endless as one step after another, a child discovers the beauty of mobility. First steps always lead to next steps. The first step at Renovation is a discovery phase: learning a sense of belonging as we gather together. We invite people to come and discover what we’re all about. It's the phase that gives us the opportunity to provide clarity and alignment for the vision and mission of Renovation Church. It should give each person absolute clarity of what we’re all about as a brand new church in the community. Our goal is to move every individual from the discovery phase to the alignment phase by taking Next Steps. The alignment phase moves guests from weekly attenders to participants in the mission. It’s the where and how of personally contributing to the mission of Renovation Church. Next Steps gives the opportunity for individuals and families to steward their time, talents, and treasure for the mission of the Church: seeing people reconciled to God through Jesus Christ. We make a big deal out of Next Steps because it shows full ownership of the mission of Jesus and being a part of Renovation Church! Our current series, Anything Is Possible, looks at the words of Jesus and how our mission is built upon His example here on earth. It’s designed to mobilize people for the mission and vision of Renovation Church. It's time for first steps to lead to Next Steps. We celebrate every next step a person takes towards trusting God. Whether it’s surrendering their life to Christ, giving for the first time, serving our community, or going on a mission trip; we hope to cheer every person on as they take their next step! Newer PostBecause Mom, You're Worth It.